Thanks for organizing this great site! I recently came across this Sea Wolf. I knew nothing about this brand and have come here for information and to post this piece of history for those who enjoy these. I came across this while responding to a craigslist ad for watch tools and parts. 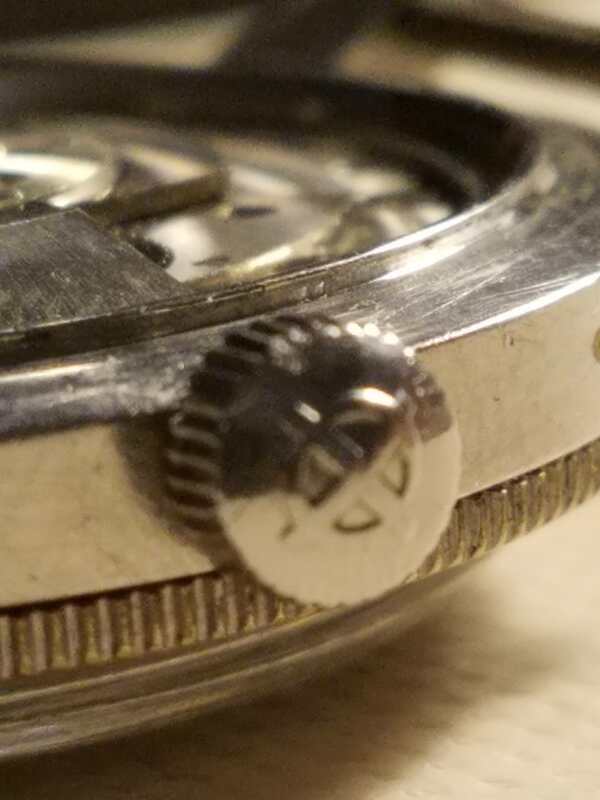 I overhaul watches (mostly seiko vintage) as a challenging hobby which I am progressing slowly. I bought the entire lot of parts although I wanted only 1 tool because he wanted to get rid of all. It is mostly parts for 50/60's era parts, mainly Bulova and the like, with mainsprings, crystals, gaskets, etc. He threw in a coffee can of junker watches. He grabbed this watch out, and said it was his, purchased in the Navy while stationed in the far east, said it might still work, and put it back in the can. He said he last wore it in the late 60's. He said he used to repair the guys watches in the Navy as well. Most of the others were junkers, but I felt it might be nice to save this one, so I looked online and found this site. Here is the info on this watch. SN 1626543, Caseback Model 722-916, Movement marked 70-72 21 jewels adjusted. The movement plate is marked 57192. The caseback has a service scribe from 6-66, which the gentleman said was done by him. It does not hack. The watch has been overhauled now and runs well. I am looking for one part (3rd wheel part number 211) to properly finish the job, the crown is bent, and need a new crystal. It's nice to know the history of the watch and makes it worth saving. Here are some pictures. Thanks! Welcome to the Forum! Fun first post. Hope you keep us posted on how the Sea Wolf is coming. Thanks for the photos too. That one looks worth restoring for sure. Learned something. I thought Sea Wolf movements were all 17-jewel. Believe the movement is transplant from other Zodiac (most likely costume watch). Of course, it is possible that the movement was replaced. But since this came from the original owner and wasn't worn since the sixties, I think it is unlikely. 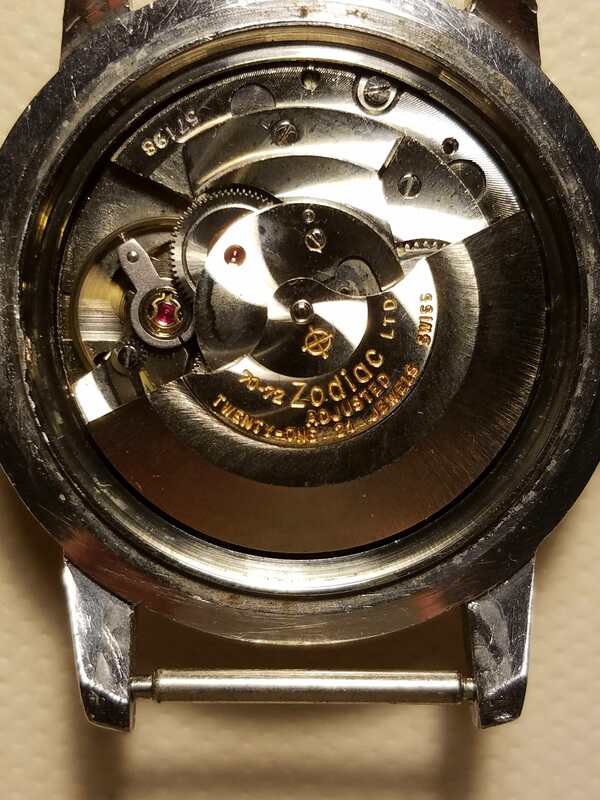 Unless he swapped it at the service date in 66 for some reason (it's the owners scribe marks on the caseback), after that it came out of service till now so there would be no opportunity to replace the movement.